Most nutrients are absorbed in the upper two parts of the small intestine: duodenum and jejunum. About 90% of nutrients are absorbed in the first 100-150 centimeters of the jejunum . 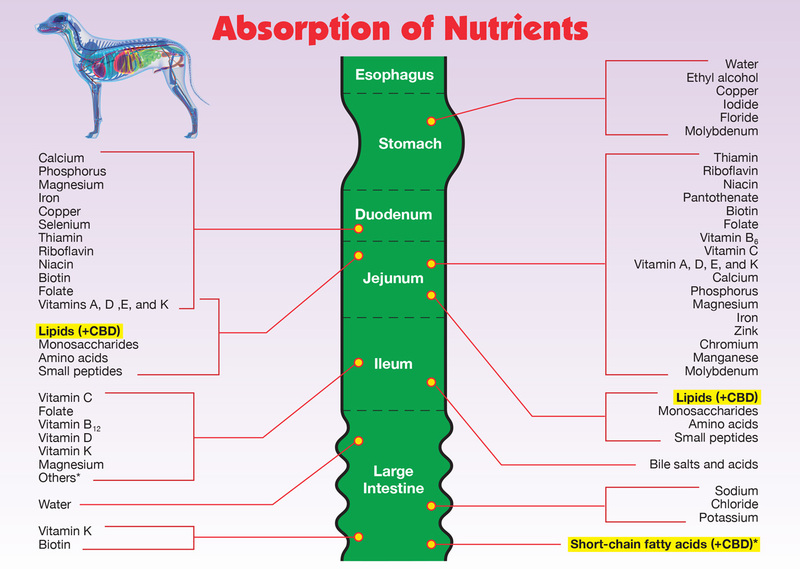 Nutrients that can be absorbed in the ileum. There is also a very complex timeline associated with assimilation. * CBD assimilation takes place AFTER exposure to bile chemistry in the large intestine. So, it’s not only where in the intestine assimilation takes place, but also when (i.e., after exposure to bile chemistry).